Spring arrived a couple of days ago but today really felt like spring. The cherry trees are blooming and the sky is thankfully clear. The temperatures are warming up and the day length is now longer than the night. These are excellent conditions for getting the fall-planted flowers out of dormancy. The covers are off the beds and we can begin feeding to further encourage growth. In another month to six weeks, we will be able to have blooms like these available on a consistent basis. 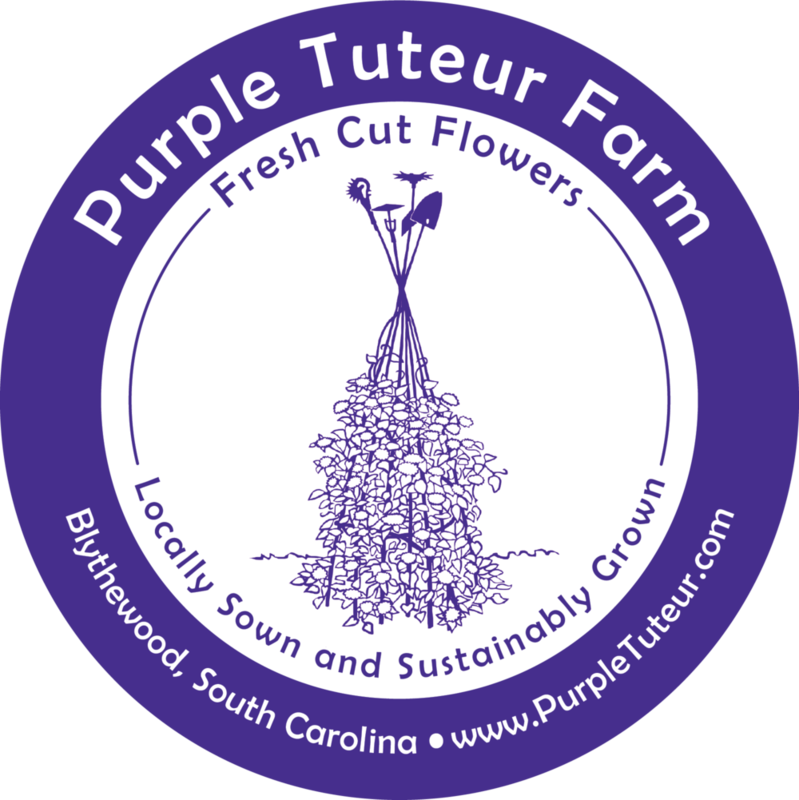 In warm climates like South Carolina’s, spring flower preparation starts in the fall. We plant ‘hardy annuals’ in the fall to provide them with enough cool weather to thrive. This group of flowers blooms profusely in the cooler spring and then they fade in our summer heat. This includes things like Bells of Ireland, Bachelor Buttons, Corn Cockle and Larkspur. Most are started from seed sown directly in the garden. Here at the farm, we have been nurturing many of these varieties since last September. They have needed the heat of late summer to germinate and get established. Then, as the days got shorter and the temperatures dropped, they slowed down above ground but continue to develop strong roots. As the weather has warmed up, the plant growth has resumed. When we get the magic combination of longer days and consistently warmer temperatures they will burst forth, revealing the miracle that they are. Between now and then, the fluctuating temperatures call for some special attention. The plants are getting larger and the vegetation is more vulnerable to cold. Frost cloth is used to protect them when we get temperatures below freezing. A freeze is in the forecast for next week, so everything is being covered so that it is protected. Tulips are not that easy to grow in our warm climate. They need 10 – 14 weeks of chilly weather to prepare to bloom, which we just don’t get here. Fortunately, with a little special handling, you can be successful getting tulips to bloom at home.